Dean Evans founded by George & John Evangeliou. We accurately predicted a U.S secular bear market. In doing so, we did not invest in the U.S stock market for more than a decade. We accurately predicted a strong rise in the Canadian dollar. In doing so, our clients' overseas investments were currency protected. We accurately predicted a sharp rise in Gold Bullion prices. Clients benefited a 200% increase in their precious metals holdings. We continue to favor U.S equities and Canadian dividend paying companies. George Evangeliou and John Evangeliou attended the International Economic Forum of the Americas, held on June 13, 2012 in Montreal. 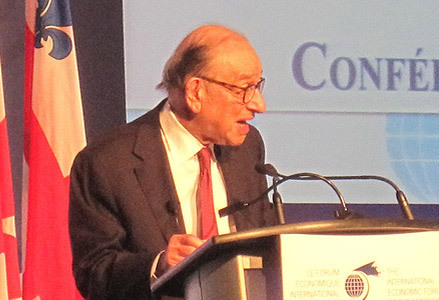 Keynote speaker, former Federal Reserve Chairman Alan Greenspan stated that the Euro project was a "noble experience". "The only solution to this is a political consolidation of Europe", said Greenspan. 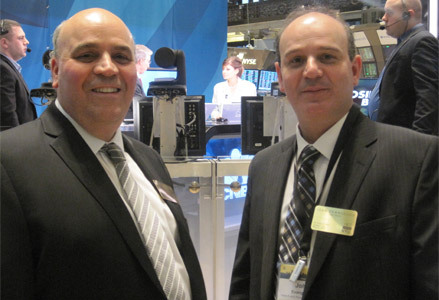 By special invitation, George Evangeliou and John Evangeliou visit the NYSE (New York Stock Exchange) on May 2, 2012 to witness the closing bell, rang by the Marriott family while CNBC broadcasts live with anchor Maria Bartiromo. Develop your investment knowledge with market insights, economic trends and the latest strategies for your retirement money. The next event will be held in June, 2013.